Can Facebook Messenger kill off apps? Amid the chaos of Europe’s largest technology conference, the Dublin Web Summit, David Marcus looks perfectly unruffled. Facebook’s boss Mark Zuckerberg has publicly acknowledged the importance of Messenger to the future of Facebook. “One of the fastest-growing and most important members of our family is Messenger. We think this service has the potential to…connect hundreds of millions of new people, and to become a really important communication tool for the world,” he told the audience at the company’s F8 conference in March. David Marcus’ job is to turn Messenger into a gateway to the mobile web. His plan: to replace apps with chats. There’s little doubt about it: messengers are some of the most successful apps today. Together, the five biggest ones – Whatsapp, Facebook Messenger, Viber, WeChat and Line – account for more than 3 billion accounts. The start of the messaging wars has been openly declared: upstarts who are vying for our thumbs globally range from the South Korean KakaoTalk to Japan’s Line and Canadian Kik. Mobile phone messaging apps will be used by more than 1.4 billion consumers in 2015, up nearly 32pc on the previous year, according to eMarketer’s first ever worldwide forecast for these services. That’s roughly 75pc of all smartphone users in the world. By 2018, that number will reach 2 billion and represent 80pc of smartphone users. Within five years, it could reach total saturation. In order to grow its user base at an exponential rate, Messenger has expanded its reach beyond that of the 1.5bn-strong Facebook network. “We’ve enabled people who don’t have a Facebook account to get Messenger, using their phone number,” Marcus says, echoing the strategy that Facebook-owned Whatsapp uses. But Facebook isn’t just trying to expand your friends-and-family network. Next, Marcus wants you to conduct all your business transactions – with retail assistants, airline ticketing agents, telecoms call centres, robotic PAs – using Messenger. “On Facebook, we already have 45m active businesses on Pages, and 700m active people on Messenger so the two sides of the network already existed, but there was no bridge between those two worlds to communicate,” he explains. In August last year, around the time that Mr Marcus joined the company, Facebook spun out Messenger into a standalone app that could be your portal of communication with everyone. As part of this strategy, it announced an entirely new layer called ‘Businesses on Messenger’, which allows users to communicate with businesses and brands within the app. If you use Marcus’ trick of recalling a pre-digital era, that would be like going over to your local seamstress and chatting with her about buying another dress like the one you bought last week. If the idea seems far-fetched in our web-first world, there are eerily-similar precedents to look to. In 2011, Chinese tech giant Tencent launched a simple messaging app called Weixin. Now rebranded as WeChat for an international audience, it boasts 600m monthly active users who use the app as a filter for the mobile web: you can hail taxis, book doctor’s appointments, do your grocery shopping or pay your utility bill, all through WeChat. But Marcus says Asian app models won’t necessarily work for Messenger, which has a mostly Western market. North America and Europe already have successful services for apps that exist within WeChat. “When it launched in China, you didn’t have a way to hail a cab other than the integration inside WeChat. Here we have Hailo and Uber and all kinds of apps,” Marcus explained. Messenger’s proposition is that you won’t have to build or use new apps within their app – you can get rid of apps completely. Instead, you can talk to businesses via a chat thread, so it feels more like a conversation than a transaction. “A thread of conversation is a much better form of app,” Marcus says. A Messenger chat retains your identity, the context of your previous conversations and always follows on logically from your last message. Trying to kill apps is a bold ambition, at a time when the mobile app economy is ostensibly booming. With 2.6 million apps available on iOS and Google Play, and 140 billion app downloads in 2014, predictions for the size of the mobile app marketplace by 2017 range from $77bn to $150bn. But in March this year, technology research firm Gartner published a report saying that app usage is going to plateau, as many smartphone users said they were fatigued – they don’t want to increase their current app usage levels. This is exactly Marcus’ point: apps work great if you are a frequent user, but why would you clutter up your phone with the app of a business you buy from once or twice a year at most? Instead, you can just talk to them via Messenger. Messenger has already trialled its chat service with six US retailers like online clothing company, Everlane. The plan now is to roll out this out to a range of retailers and airlines, with a Q1 2016 launch date for UK businesses. They are also testing the system with Dutch carrier KLM. Once you have booked your flight, your confirmation details will be sent to you in a conversation bubble on Messenger. You can just text back to change or cancel and get live notifications when you need to check in, or board your flight. “You can do things in a tenth of the time that you can over email or other platforms,” Marcus says. In August, Messenger announced the next step in its plan to kill off mobile apps, and maybe even search engines – ‘M’, its artificially intelligent virtual assistant. Built into Messenger like a friend, it can help you out with administrative tasks like speaking to Amazon customer service or making a restaurant reservation. “Unlike other digital assistants on the market, it enables you to complete tasks versus just giving you information,” Marcus says. So will the artificially-intelligent Messenger of the future still be text-based, or will it evolve into a world of virtual reality avatars, powered by Facebook-owned headset Oculus Rift? “When you look at the evolution of Facebook, the new generation of business is definitely messaging, followed by virtual reality, so it will be interesting to see how messaging in the world of VR plays out,” Marcus smiles. The social network’s CEO Mark Zuckerberg says the status tool will be used more often during human disasters, following outcry over the company not activating it during the bombings in Beirut. Following criticism that Facebook activated its Safety Check feature for the Paris terrorist attacks but not the bombings in Beirut, CEO Mark Zuckerberg has vowed to use the status tool more often during human-made disasters. Facebook activated the tool Friday after a series of shootings and bombings around France’s capital killed more than 100 people and injured more than 350 others. The tool automatically sends users in the affected area a note asking if they’re safe. When a user clicks “Yes, let my friends know,” the tool then notifies their Facebook friends. More than 4 million people have used the tool to mark themselves safe following the Paris attacks. But after enacting another feature that allows users to alter their profile pictures to express solidarity for the people of Paris, the Mountain View, California-based social network came under fire for not extending the same attention to twin suicide bombings in a Beirut suburb that killed more than 40 people and injured 200 a day earlier. The Islamic State of Iraq and Syria, or ISIS, claimed responsibility for both the attacks in both cities. Facebook said it began working on Safety Check after an earthquake caused a devastating tsunami and nuclear disaster in Japan in 2011. The status tool has been activated a handful of times since its official launch in October 2014, including after the recent earthquakes in Afghanistan, Chile and Nepal, Facebook said. While noting that “communication is critical in moments of crisis,” Alex Schultz, Facebook’s vice president of growth, conceded that the tool isn’t perfect for all disaster situations. Facebook wasn’t the only social media outlet people turned to let people know they were safe during the Paris attacks. Parisians also took to Twitter to get information and express solidarity, as well as to help those seeking safety from the attacks. Under the hashtag #PorteOuverte (“open door”), Twitter users in Paris posted their address to offer shelter. Smartphone doesn’t buzz enough during the day? Facebook’s got you covered. The social network has unveiled Notify, a new app that sends younotifications on everything from breaking news to Groupon deals, new film trailers and weather forecasts. The service isn’t part of Facebook, but an entirely new app designed entirely around lock screen notifications, which then feed through to other sources. Users can fine-tune a list of 72 sources, such as the New York Times, The Weather Channel, and Fandango Movie Clips to deliver updates. Sports notifications, for example, can be narrowed down to certain teams, or Bloomberg alerts by company. Notify from Facebook from Facebook on Vimeo. At the moment, Notify is only available for iOS in the US App Store, although if it is successful it is likely to reach more platforms and countries. Other Facebook apps, such as Paper, never made it further than that. “We’re excited to explore this evolving medium with participating sources,” Facebook said. The app counts among the latest attempts from large technology companies to provide a form of news service, which also includes Apple News, Google’s AMP and Facebook’s own Instant Articles. Notify’s reach is broader than simply news, with the social network highlighting sports scores, weather, image flashbacks and others, most of its partners are publishers. Users are able to curate a list of sources for notifications, which they can open from the lock screen via the web, or share, save or dismiss them. The app also has a feed of the last 24 hours of notifications for any that you miss. “Notifications are becoming one of the primary ways people first learn about things wherever they are,” Facebook said, introducing the app, which was rumoured last week. Outside of the main Facebook app and Messenger, Facebook has had some trouble seeing its other apps, such as Paper, Slingshot and Rooms, get much traction. Notify, however, won’t require a user to open it, simply set up an initial list of appropriate sources. Whether users will want to have yet more notifications – alongside email, messages, social media, other news apps, phone calls and more – remains to be seen. The benefits to Facebook of introducing the app are less clear, since it is distinct from the social network’s core service, although it could increase sharing. Requests for Facebook users’ personal data have increased by 60 per cent in the UK in a year, with the social network fielding 3,384 demands in six months from the Government and law enforcement authorities. Facebook’s latest Government Requests Report, released on Wednesday evening, revealed a significant rise in requests for information across the world. Such requests can be made for different reasons, but Facebook says the vast majority relate to criminal investigations, including robberies, kidnappings and in some cases terrorism. The data requested is often basic information, such as when a user has recently logged in, but authorities have also requested photos and private messages. After the US and India, Facebook received more government requests in the UK than any other country. The revelations come amid growing scrutiny of official snooping on citizens, following last week’s publication of theInvestigatory Powers Bill, which overhauled the UK’s surveillance powers including requirements for internet providers to store browsing data. During the first half of 2015, Facebook received 3,384 requests for data concerning 4,489 accounts. This was up from 2,110 requests in the same period a a year ago and 1,975 in the first half of 2013. Facebook, which has more than 30 million users in the UK complied with 78 per cent of requests, up from 72 per cent a year ago. In the wake of revelations from the whistleblower Edward Snowden, who alleged that the US government had widespread access to personal data held by technology companies, internet giants have taken to publishing regular transparency reports about official information requests. Twitter said earlier in the year that UK requests had more than doubled in six months. Apple, Google and Microsoft have also seen increases in personal data requests in recent years. “As we have emphasised before, Facebook does not provide any government with ‘back doors’ or direct access to people’s data,” it said. “We scrutinize each request we receive for legal sufficiency, whether from an authority in the US, Europe, or elsewhere. If a request appears to be deficient or overly broad, we push back hard and will fight in court, if necessary. “Over the last two years, we’ve regularly published information about the nature and extent of the requests we receive. To protect people’s information, we will continue to apply a rigorous approach to every government request we receive. The UK was by far the biggest requester of Facebook data in the European Union, although France, Italy and Germany also requested thousands of account details. The US requested 17,557 pieces of information, however, almost half the total. Facebook said total requests had increased by 18 per cent to 41,214. Last week, Home Secretary Theresa May unveiled proposals for a so-called“Snoopers’ Charter”, the biggest overhaul of surveillance laws in 15 years. The Investigatory Powers Bill would require tech firms to help decrypt personal communications if required to by warrant. Apple’s chief executive Tim Cook criticised the proposals this week, saying that “opening a backdoor could have dire consequences” for personal security. Facebook intends to appeal a privacy ruling in Belgium that forces the social media giant to stop collecting digital information about people who are not its users. The ruling, announced late on Monday, is the latest in a number of European data protection cases that have engulfed Facebook, which collects reams of data on individuals’ online activities to power its fast-growing digital advertising business. Many of the Continent’s data watchdogs, as well as the European Court of Justice, the European Union’s highest court, have also taken a tough line on how American technology companies gain access to, manage and use people’s digital information. The efforts are part of Europe’s strict data protection rules that have enshrined an individual’s privacy as a fundamental right on a par with freedom of expression. In Monday’s ruling, a court in Brussels said that Facebook could no longer collect and store online information from people in Belgium who do not have an account with the social network. The court said that Facebook did not have individuals’ consent to gather the information. The company had collected data on people’s online activities — both those of Facebook users and those of people who do not have Facebook accounts — through so-called digital cookies. 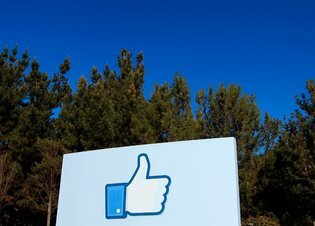 The cookies, tiny files that attach themselves to users’ computers or smartphones, are embedded on Facebook pages and on those of other companies that have links to the social network though Facebook’s “like” button. Facebook will face daily fines worth up to $270,000 if it fails to comply with the court’s decision, according to Belgian law. In response, the company said that it had used cookies for more than five years without facing privacy complaints, and that it would now take its case to the Belgian Court of Appeal. But Facebook also said it would take steps to stop collecting online information about people in Belgium who do not use its site by the end of the week. “We are working to minimize any disruption to people’s access to Facebook in Belgium,” Sally Aldous, a company spokeswoman, said in a statement. The case was filed this year by Belgium’s data protection authority, which had balked at changes to Facebook’s terms and conditions that would have given the company greater say over how it collected and used individuals’ online information. In total, five European privacy regulators — from Belgium, France, Germany, the Netherlands and Spain — are investigating whether the company’s new privacy conditions run afoul of their countries’ domestic data protection rules. Facebook has fought to limit the impact of those investigations, saying that only the Irish data protection authority has jurisdiction over its new privacy conditions because Facebook’s international headquarters are in Dublin. Roughly 80 percent of Facebook’s 1.4 billion users outside North America are managed through its Irish base. Despite the company’s efforts to rely on the Irish data protection regulator, though, many of Europe’s privacy watchdogs have sought an increasingly greater say in how digital information about their citizens is handled. That position became stronger last month after the European Court of Justice gave national authorities greater powers over how companies like Facebook and Google store online data. The court said that people’s digital information, like social media posts or search histories, could no longer be transferred to the United States under a 15-year-old agreement known as safe harbor. The judges ruled that the United States did not offer sufficient protection for Europeans if their data was misused by companies or by government agencies. As part of its decision, the court also said that Europe’s national privacy authorities had the right to intervene if they believed their citizens’ data was at risk when companies moved information outside national borders. And in a sign that regulators are taking advantage of their new powers, the Continent’s data protection authorities have demanded that Europe and the United States agree to a strengthened trans-Atlantic data transfer deal by early next year. If those efforts falter, regulators may start to fine companies that misuse Europeans’ online information. American and European Union officials are trying to negotiate a new pact. 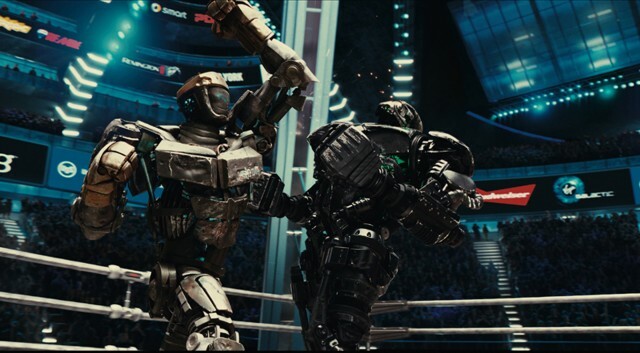 The war of the AI virtual assistants has been heating up as of late. It’s no secret that Google, Facebook, and Microsoft have all been working feverishly towards the next big thing in artificial intelligence – a virtual assistant that can wave her binary wand and handle all the tedious minutia that has come to characterize living in the digital era. From flight schedules to email pile ups, the human experience is increasingly subject to data overload. Our agrarian ancestors typically communicated with just a handful of people in a given day, and it was under these largely tribal circumstances that our brains developed their social circuitry. As the raft of information we are responsible for increases exponentially, it’s no exaggeration to say we humans are quickly running up against the limits of our information processing capacity. Enter the AI virtual assistant. Two press releases this week are indicative of the different ways two of the front runners in the field, Google and Facebook, are attempting to create the virtual assistant of the future. With relatively little fanfare, Google took the lid off a new feature of the Gmail inbox, called Smart Reply. The aim of Smart Reply is to generate intelligent automated responses to common emails we receive. Ever since the “Hummingbird” update to Google’s search algorithm back in 2013, an update which essentially allows Google search to understand the meaning behind a user’s query rather than treating it as a blind string of words, Google has been pushing artificial intelligence in higher and higher levels of semantic understanding. No doubt that much of this progress owes to the hire of Ray Kurzweil, one of the early wizards of artificial intelligence and high priest of the singularity movement, whose pioneering work in AI centered on speech recognition. Google’s approach to artificial intelligence, and hence its virtual assistant, has largely focused on understanding human speech and its meaning. This is only natural, since it is an area directly related to its Google business platform: internet search. Somewhere along the way Google must have realized that every email we receive can be treated as a search query. We typically write to someone because we seek some form of information from them, in essence we are querying their personal storehouse of information. As Google increasingly has access to that personal storehouse of information, it becomes capable of responding to emails just like it would to a search query. While automated responses to emails may ease some of the mental anxiety we are exposed to on a daily basis, it raises some disturbing philosophical questions. At what point have we ceded too much of our decision making to a machine intelligence, and what happens when the automated reply starts responding to messages what were generated with automated reply? Will entire conversations take place between computers with a minimum of human input? Facebook, on the other hand, has taken a different track in regards to developing its virtual assistant. While it is no less interested in natural language processing, a much larger part of its business model is dependent on imagery and visual data, which users upload in ever-increasing droves. It’s no surprise than that Facebook is devoting massive resources to making advances in the field of artificial intelligence related to image processing. Two developments this week point to how Facebook’s virtual assistant might benefit from enhanced visual cognition. One recent publication relates to the ability of their AI to make physics-based inferences about a visual scene, for instance understanding when a stack of blocks pictured in a photograph is likely to fall over. The other advance relates to scene recognition and developing algorithms that can describe what is taking place in a photo. As I wrote in a prior ExtremeTech post, scene recognition will likely be essential to enabling robots to participate in more meaningful ways as nurses, caregivers, and domestic assistants. Understanding the visual world has proven every bit as challenging for artificial intelligence as understanding human speech. But as both Google and Facebook make major advances in these arenas, it shouldn’t be long before truly startling and uncanny AI virtual assistants begin appearing in our day-to-day lives. Facebook reported its third quarter earnings today, and the figure that stood out was 1.01 billion average daily users. That is up 17 percent from the same three-month period last year and highlights what a massive global phenomenon the social network has become. The company’s share price also surged in after-hours trading after it beat analysts’ expectations. It reported $4.5 billion in revenue and a profit of $1.46 billion. Those numbers are both up more than 40 percent over the same period last year. As with previous quarters, mobile continues to be an increasingly large percentage of Facebook’s revenue, now accounting for 78 percent of all advertising dollars on the platform, up from 66 percent for the third quarter last year. Investors had been hoping that Facebook would break out some details of the money Instagram is earning. The photo-sharing app has now rolled out a robust advertising business, but so far, Facebook is keeping those numbers opaque, reporting inside of its larger advertising business. So far founder and CEO Mark Zuckerberg had only platitudes to offer. “We had a good quarter and got a lot done. We’re focused on innovating and investing for the long term to serve our community and connect the entire world.” We’re hoping for something more on the earnings call later this afternoon and will update this post accordingly. Video on Facebook is swallowing the entire social network. 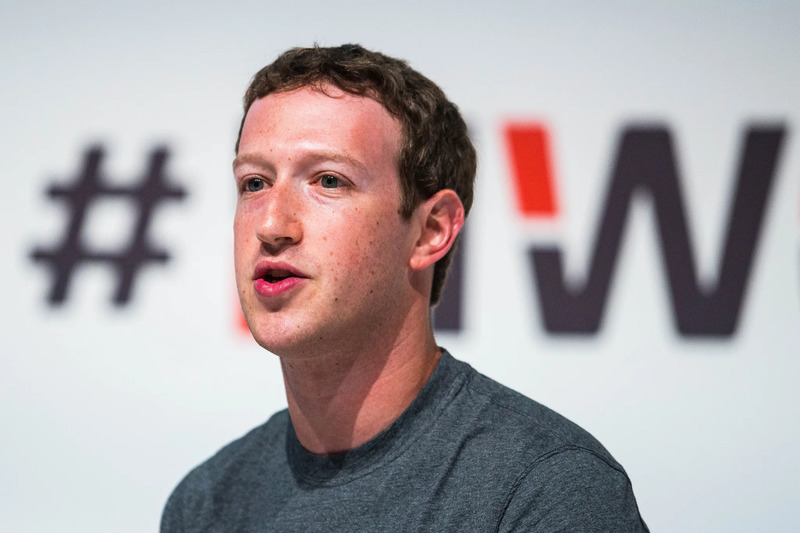 According to CEO Mark Zuckerberg today, Facebook videos notch more than 8 billion views daily. That’s double what the average view count was back in April and eight times the amount of daily video views the platform had in September 2014. That’s an astonishing rate of growth. But it’s not inconceivable when you consider Facebook now has 1.55 billion monthly users and more than 1 billion people who use the service every day, according to the company’s third-quarter earnings today. It’s worth noting that Facebook counts video views differently than competitors like YouTube. On the Google-owned video service, a view is counted only if a viewer lets the video play for at least 30 seconds. On Facebook, that number is three seconds, and video owners also have the benefit of Facebook’s autoplay feature, which triggers a play whenever a user scrolls past a video in their News Feed. Facebook can also prioritize video by tinkering with the algorithms that determine what users see. Still, however Facebook is counting the video views, the growth rate can’t be denied. 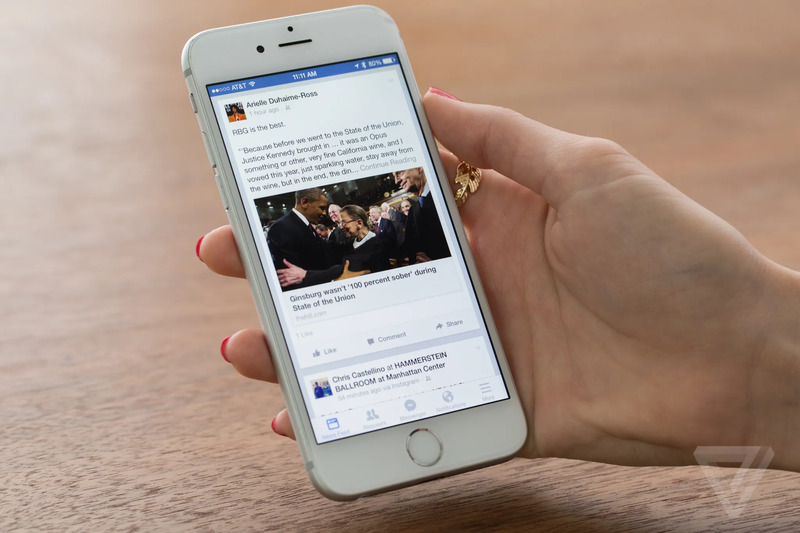 Facebook’s vision for its social network is a site that is increasingly consumed by video. The strategy aims to turn Facebook into a one-stop-shop for online communication, news, entertainment, and all variety of other web content that gets shared on the internet. Facebook ad product lead Ted Zagat said as much on a panel in September, noting that the shift to a video-first platform will take one or two years. The company has even begun testing a video-only feed within its mobile app, as well as a way to shrink a video down to continue watching it while scrolling through the News Feed similar to YouTube’s mobile app. It was very annoying when people used to click the ‘maybe attending’ buttonon Facebook. Did this mean they were attending, or that they were definitely not? On the other hand, it was a good way to keep your social options open. Facebook have tried to minimise event-attending ambiguity by deleting the ‘maybe’ option entirely. This is the latest in a series of updates that have also seen the introduction of Facebook Reactions as an alternative to the rumoured ‘dislike’ button. The update is rolling out this week, with the ‘maybe’ button being replaced by an ‘Interested’ one. ‘Maybe’ was often used by people who had an interest in the event, but no intention of going. The new ‘Interested’ option serves to make that function more obvious, as well as stopping people from sitting on the fence. It features a little star icon and appears next to the ‘Going’ and ‘Not Going’ options. Facebook’s own description says that the new button is for people who want ‘to get updates and decide if you can go later’. Facebook is also stopping people being able to view, then ignore, event invitations. It’s working on an update that allows event hosts to see who has viewed the invitation. This is to put a stop to people not attending events and using the excuse that they never saw the invite. Messaging apps like WhatsApp and Facebook Messenger already have this feature, but it would be even more handy for event organisers.